Tales of Phantasia's dungeons were worse imo, it also didn't have as good a battle system as Symphonia which didn't help things much. They're all absolutely massive and hard to navigate, with plenty of obnoxious puzzles and really long boss fights. Maybe if the battle system wasn't as clunky it would be a little more forgivable, idk. Squidlit is better than I make it sound. Unfortunately, I left Squidlit to have this ridiculously unfair review pairing and, well, let's just say I didn't spend all day thinking about what I wanted to say about Squidlit. Squidlit is very dedicated to being a GameBoy game about squids. Everything is green, you only get two buttons, and even the level and enemy design are straight from that era. If not for the sense of humor (squid puns! ), friendly checkpoints, and flavor dialogue choices, you could understandably mistake it for a port of a 25 year old game. Or the first level of one, anyway, because it's 45 minutes long. It's fun and funny, and maybe that's as long as it needs to be given the price ($3) and mechanical simplicity, but I was hoping for a little more. They changed the controls and some of the help text for the PC port, so it's totally a new game. Spoilers because, despite my best efforts, I wrote an essay again. No actual spoilers. The tl;dr is exactly what you'd expect if you've ever read anything I've said about this series. As I've mentioned many times before, 999 blew me away like no other game had. VLR came along a few years later bearing the full weight of those expectations and, if anything, surpassed the reaction I had going into 999 blind. A few temporary blips where I overreacted right after finishing games aside, it occupied my #1 slot unchallenged until its sequel, ZTD, game out two years ago. But also like 999, that ranking was entirely based off an increasingly distant first experience, because I never actually got around to playing it again. ...Anyway, I was right the first time. VLR is an unqualified masterpiece that nothing except its sister games have come close to approaching. Which is not to say that it's flawless. Although its system for navigating the plot results in far less repetition than the original version of 999 and you're never made to repeat a puzzle, there are a handful of nearly or actually identical story sequences in different branches where the skip function inexplicably doesn't work. It's a port of a Vita/3DS game that didn't look great on its original systems, and it is *very* apparent than some of those textures and animations weren't meant to be seen at PC/console resolutions or screen sizes. It also continues the series' bizarre tradition of having one or two female characters, in this case Alice and Clover, who are wearing far too little clothing even as everyone else is dressed normally. The other character designs are great, which just makes how ridiculous they look stand out even more. All of which is unfortunate, but also just about the sum total of my criticism. The puzzle gameplay is basically 999's on steroids. There are seven more rooms than in the first game, and they're just about universally more complex and imaginative. Each one centers around unlocking a safe that contains both the key to exit the room and a varying number of plot-relevant items, but those safes all also have a second password obtained from finding a more involved or less obvious solution. These unlock secret archives that are a mix of developer commentary and extra explanations. There's a lot of variation in terms of puzzle difficulty, especially for the alternate solutions, but they're all enjoyable and satisfying to complete. They also tie into the main plot much better than their 999 equivalents, with the unlocked rooms and the items you find in them often becoming driving forces rather than just obstacles in the way of escape. And that story is, of course, where the game truly shines. 999 had six branches you could do in any order, but you were guaranteed to run into more or less the same handful of core mysteries in the same order, and you didn't really get any answers from three of them. VLR has nine core branches, along with eleven shorter bad ends, that each have their own version of events. Some things happen the same way from different perspectives, some are basically unmodified, and many don't happen at all in other paths. The end result is that you're always getting both answers to old mysteries and entirely new questions with each path. Most interestingly to me, it further means that any two players will likely see things in a very different order, and thus come up with much different theories along the way. And that's important, because unlike a lot of mystery games, you absolutely can figure out every twist before its revealed here. It's constantly dropping hints or even explicitly stating the answer in seemingly innocuous ways, so everything feels fair even when it blindsides you. The plot is, in turn, carried by the cast and the AB game. The former is much more fleshed out than in 999, thanks in no small part to the game being over twice as long once you cut out repeated content, and play off each other fantastically. Many seem to have an obvious role at first, but trusting in those expectations can be quite dangerous. That's most important in the aforementioned AB game, which pits you against said characters in a mini-game along the lines of the prisoner's dilemma and drives most of the plot. Misreading someone or making assumptions about what the game won't do can dump you into a bad end, which can often be quite a gut punch despite not having any real gameplay consequences. They also managed to write characters that feel like they have agency and intelligence in a mystery game without diminishing the player's opportunities to demonstrate either, which helps tremendously in becoming invested. It's something of a miracle that this game and (especially) ZTD exist considering how reluctant ChunSoft were to continue the series, but I'm so glad they took the chance. They're still incomparably ahead of almost everything else I've played even years later, and I wholeheartedly recommend them (with 999 first, of course) to anyone who appreciates a good mystery. Just don't ask me which of VLR or ZTD takes my all-time #1 spot. Fun easter egg for the Steam version: the framerate is capped at 63 FPS, which has a digital root of 9. Infinite came along about 4 months after the English release of VLR and was bizarrely similar to it in some very specific ways. And also my reaction to it: It was my game of the year in 2013 and bounced around my top 5 for a few years after that until I forgot why I liked it and (the otherwise fantastic) Burial at Sea opened a giant plot hole that rendered the entire exercise pointless. 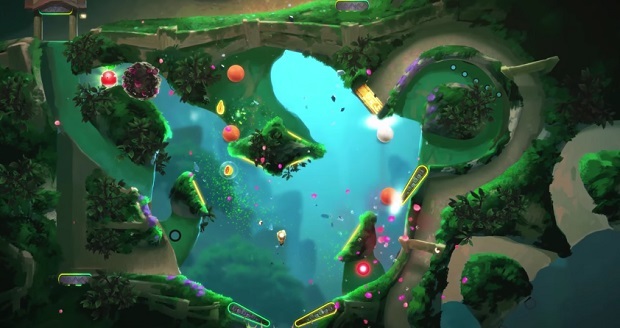 The first you'll notice about Infinite is that it's visually stunning. And it's not that there's one environment or a few setpieces that stand out - practically every part of every level from beginning to end is absolutely beautiful. Dishonored and its sequel are the only games I can think of that come even close to this quality of world design, and they're both going for a very different aesthetic. You really can't get some of the things this game shows anywhere else, which makes it all the more fortunate that the technical side of the graphics also holds up just about perfectly. And then the shooting happens. It's pretty dire at first, both because it gets in the way of exploring the world and because you've only got a dinky pistol that barely does damage and is boring to use. It gets progressively better over the course of the game without ever having a specific moment when you realize you're okay with it or ultimately becoming more than decent. I initially thought I was going to agree with the widespread complaints about "ludonarative dissonance" between the violent gameplay and story, but it very quickly becomes apparent that this is a violent story about violent people doing violent things. It's maybe a little silly that Booker kills so many people basically single-handedly, but I don't think there's anything thematically inconsistent about the body count. It's quite likely that some of it was shoved in there by 2K because shooters sell copies, but the deaths nonetheless serve the plot. So far so good, but that's where the story kicks in. And, well, it's not actually very good. The characters, their abilities, and the events they experience are all basically what the plot needs from them at that moment. There's often no obvious logic for why someone could do what they just did or why something happened just then beyond that it'd be awfully convenient if it did. Some conversations are clearly in the game only to provide audio for trailers and don't fit with the surrounding context at all. It's entertaining enough, and there are some legitimately great scenes in the last couple hours, but it starts to fall apart if you think about it too much. This is where I'd normally say that the game didn't hold up and is no long particularly essential, but, well, those environments are really pretty. The gameplay and story probably could've used another pass, but they're both fine and have their moments of inspiration. They wouldn't be enough to make Infinite a classic on their own, but they're enough to keep up with the visuals. It's a bit like a world class art gallery that you can only experience through a pretty good tour. Maybe the tour wasn't the best part, but it's still a world class gallery. Going to do Burial at Sea separately when I get back at the end of the month. Wouldn't usually handle DLCs that way, but part 2 in particular plays almost completely differently from the base game. This was basically a travel game and it fulfilled that purpose. Pretty unremarkable Metroidvania overall to be honest. I didn't really like the top-down sections. After the wet fart known as DMC2, Hideaki Itsuno and Capcom went back to the drawing board. Using feedback (from GameFAQs IIRC) and dark demonic energies they made this game. DMC3 is an excellent action game and probably one of my favorite games. Combat is fast and satisfying, with a wide variety of weapons and techniques to unleash in the heat of battle. The loadout system lets players learn how Dante's weapons and styles work on an incremental basis, rather than become overloaded with information like in DMC4. Over the course of its 20 missions, DMC3 gives the player something new in every mission, be it a new weapon, enemy or boss. On that subject, there are a large number of unique, tough bosses to face, including a final encounter that is one of the best boss fights of all time. Additional content includes Vergil as a playable character and the Bloody Palace, an area where you can fights hundreds of enemies back-to-back. Of course, DMC3 is not perfect. Some bosses aren't great fights, with the penultimate boss being a particularly poor fight. While the story is good for its genre, I feel like some of the cutscenes can be a bit long-winded. I'm also not a fan of most of the soundtrack. Overall though, DMC3 is a wonderful action game to check out if you want satisfying combat and tough challenges to overcome. Built up a big backlog of reviews because of travel. Don't have much to say about any of them, thankfully. It's a free room exploration game that takes about 30 minutes and features an art style that makes absolutely no effort to hide the title's Life is Strange inspirations. The story is actually pretty decent considering the time they have to work with and has some legitimately surprising moments at the end. But it can be a pain to find some of the memory triggers in the room and the voice acting is better left unmentioned. It's worthwhile if you need to kill a half hour and don't want to spend money, but you're not missing a ton if you pass on it. I wouldn't have bothered with this game except that it was the cheapest way of testing out a dumb way of buying yen on the eShop and that, at 45 minutes long, it was just the right length for the gimmick of not being sure which side of the date line I was on when I finished it. The game itself is mostly mindlessly beating up weak mobs to complete what could very generously be called puzzles over the course of four levels. The boss fights can be fun, but they're not enough to make the game worth playing. I used a guide for almost the entirety of the game because I had no patience for the illogical backtracking the game uses at every turn to pad its length. Almost every new level is locked behind having to travel back to a much earlier screen with often no obvious relation to the barrier you're encountering. The story is wholly unremarkable except for the absurd lengths it will go to provide cheap fan service that adds nothing to the plot. The platforming and combat are decent, but nothing special, and the soundtrack is pretty good. Muramasa is one of the best looking games ever made, especially on the Vita's still-phenomenal screen. It also features some good music and consistently entertaining stories. Which would normally be enough to recommend it pretty much unqualified. Alas, it has combat. And it's really, really bad. I gave up on the main story, which expects you to finish both 5-6 hour campaigns three times each to see the full tale, after about an hour of mashing square and randomly spinning the control stick. Combat never gets any deeper than that, and while the boss fights can be entertaining, almost all of the time you'll spend fighting (which is almost all of the game) will be in random battles against mobs of the same handful of enemies that always go the same way and never provide any challenge or depth whatsoever. Unfortunately, said fights are the only way to get experience and the only decent way of getting souls for upgrades, so you *have* to finish most of them or you'll be too underleveled for boss fights. Not that it really matters since most of them force you to stay and fight, anyway. I finished one of the three hour side campaigns that at least presented a significantly different playstyle and story from the main game, but all of the good and bad points are still the same. This is a game I'd love to see the entirety of if I could just have a OHKO cheat for the mob fights, but I can't, and without that it started literally putting me to sleep halfway through my second campaign. A real shame. I had it from PS+ and it's Metal Slug. I'm not very good at it and used a ridiculous number of continues to finish, but it's a fun way to spend an hour or two. Just realized I never actually gave my thoughts on this game. I suppose it might suffice to say that I loved this game enough to learn how to speedrun it, and got my time under an hour (55:39). I can't see how Celeste won't be my game of the year. Barring another complete surprise or Metroid Prime 4 being absolutely stellar, it will be hard to dethrone. The design of this game was impeccable--obviously made to be very challenging, but compensating with a quick respawn time, continuous music through deaths, and rooms that are never too long to be manageable (until the final, final challenge levels). I found every strawberry and Crystal Heart, I beat the B sides and the C sides. I couldn't get enough of this game. One thing I want to bring out about this game is its tone and story. I don't come into platformers for the story, because that's just not what that genre is about for me. However, Celeste's story added so much to the game, as you control Madeline, a girl who wants to overcome her anxiety by climbing her own personal, literal and figurative Mountain. I came into Celeste hoping for a good "splatformer," and I left with some very real emotional reactions to what I played. I do not struggle with anxiety or depression, and I thank God for that, but I know many people who do and I will be counseling many more down the road. This may sound silly, but no article or study I've ever done has helped me get into the mind and heart of someone fighting depression than playing Celeste has. Not only does it navigate those tempestuous storytelling waters carefully, but it uses the medium of interactive gameplay to envelope you in what it is trying to say. 10/10. Music was dope, too. Unlike Ian, I loved Shantae and the Pirate's Curse. I thought the backtracking and Metroidvania ("pathfinder" is a term I'm liking a lot) tenets of the game were enjoyable, especially with the discrete upgrades you receive in the form of Risky's Pirate Gear. The world wasn't large and interconnected like a typical Pathfinder, but the exploration was certainly there. I think Pirate's Curse and Risky's Revenge both do a good job with the Pathfinder design. ...Well, Half-Genie Hero walks that back quite a bit. Now I'm not saying that's a bad thing, but it's not something I personally would have done with Shantae's first jump into HD. I would have preferred a game that goes even deeper into Pathfinder philosophy, with a large, inter-connected world to explore and dive into. Instead, Half-Genie Hero goes back to Shantae's Gameboy Color roots and focuses more on linear platforming and unavoidable enemy waves. Which is...fine. Except I don't really think the GBC Shantae aged well, and I kind of with WayForward hadn't gone back to that formula. I wish the whole game had been a lot more like the last level (barring the final escape). The last level had you using each of Shantae's transformation abilities to navigate very specific near-puzzle platforming sections. You needed to use Harpy to get up to that ledge, but that narrow corridor required Bat, but then to get up there you need to use Spider...that kind of challenge was a lot of fun for me. While the entire game was structured around these transformations and using them to explore/reach new areas, the linearity and small size of each world held the game back in terms of what it could have done with those ideas. This game didn't hit the same notes as Pirate's Curse or Risky's Revenge for me, and that's fine. It's still a fun and enjoyable game, except for the final escape sequence which was hot garbage. And while I understand that Shantae games aren't exactly plot-driven, I think the plot actively hindered my enjoyment of the game this time around, because each successive zone opened up absolutely arbitrarily. The game seemed directionless and disjointed. That said, the bosses in this game were probably my favorite of the series so far. The game also looks quite nice. Overall I'd give it a 6/10--above average platformer with flaws that held it back from being really good. Everyone already knows what this is. I finally won a tiny amount of money from it. It's fun in the way you'd expect from a trivia game show you can play on your phone. This is the This War of Mine devs taking their philosophy to a city builder. Like TWM, it isn't so much a game about winning than about failing to die. You're still guiding a (much larger) group of survivors, but this time the danger comes from the world having suddenly gone snowball Earth rather than a war. You've settled around a massive coal-powered generator than can keep your immediate area habitable, but only just, and which will relentlessly consume resources as the temperature continues to drop. It's thus a race to mine enough coal to keep the lights on, gather enough wood and steel to build houses to put the lights in, and gather enough food to do it all again. Which would be hard enough on its own, but you've got health and politics to worry about as well. The former becomes a concern when you are inevitably unable to keep every part of your city warm enough and people start to get sick. That'll take them out of commission unless you can treat them in a medical hut, which needs to be staffed by precious engineers, has far too few beds, and consumes yet more coal. Some will become gravely ill, meaning they can't be cured without the late-game infirmary. Until then, you either have to keep them in palliative care indefinitely, let them die, or perform risky operations that might leave them as an amputee who can't work without expensive (and equally late game) prosthetics. That decision is part of the politics system, which allows you to pass laws every few days to adapt to the circumstances. That could mean putting the food-snarfing children to work, adopting ceremonial burials of the dead, or opening fighting pits. All of those in turn tie into the hope and discontent meters, which need to be kept under control to prevent your people from abandoning the city. Naturally, they're also affected by your ability to keep up the resource cycles I mentioned before. And it's all made worse by the weather. You start out at -4 Fahrenheit and will progress in stages to absurdly low temperatures that make resource gathering ever more perilous even as they demand more coal and better housing to keep even your city core livable. It's an absolutely brutal cycle that's constantly pushing (and often exceeding) your limits. Even after dropping the weather difficulty down to easy, I "won" my third campaign with at most a day to spare, and the two earlier games on normal barely made it halfway. It's the kind of game you probably know immediately whether you'll like or not. I love it and absolutely intend to go back and do the two additional (harder) campaigns at some point, but I haven't got that in me right now. I got it from Humble and used it as a podcast game. It's a decent one-button puzzle game under those circumstances, but it's quite short and very rarely does anything particularly interesting or challenging. I definitely wouldn't have been happy if I'd paid the $10 MSRP or playing it without something else to focus on. It also has two bonus campaigns, but I probably won't play those. I've never played a game of regular Hearthstone and probably never will, but their deck building roguelite single player campaigns are pretty great. Like the earlier Kobolds and Catacombs, it's a boss rush against stupidly broken enemies that you can only beat because the cards and treasures you'll choose from along the way will make your deck equally stupidly broken. It's a ton of fun even without any knowledge of the base game, although you will have to play through the obnoxiously long tutorial and deal with loads of pestering to play the main game in order to get to it. I still haven't finished Kobolds after a dozen or so tries, but I got this one on my first run. I think that's primarily down to the ridiculous luck I had with prizes this time rather than it being that much easier or me suddenly being that much better. You're technically supposed to beat it with all four new heroes and then do a bonus campaign, but I may just say I'm not going to top the silliness of that run and leave it at that. The game has a pretty tough start which made me salty, but afterwards it picked up and became very good. Once you reach The Lake of the Nine the game opens up and becomes a lot of fun as you spend hours exploring for treasure and favors. The story told through the main quest is compelling, but towards the end it noticeably loses steam and becomes a lot less interesting. It feels like 1 or 2 late sections could have been cut entirely. Combat is good but it gets repetitive and buttonmashy in endgame and I don't think the enemies in this game are that much fun to fight. The camera is too close to Goofy's back which is kind of annoying even late into the game. Overall it was a enjoyable adventure that could have ended a few hours earlier. It's pretty much more Super Mega Baseball with additional teams, refined core mechanics, and a new art style. The big addition for PC was online multiplayer, but I'll probably never touch that. Like the first game, it's a really solid mixing of arcadey baseball and a more serious sim with a 0-100 difficulty setting (now individually adjustable per-mechanic and player) that lets you adjust that mix as you want. I still haven't found a difficulty that'll work for me long term, but that's partly down to how intuitive the game is - it never took more than one game for me to adjust to the new difficulty level and get back to steamrolling the AI. That said, I only made it to level 55 in my short season, so there's another 45 options that might last longer. My only real complaint is that they got rid of contracts, which let you sign all sorts of different staff and equipment deals to boost your player's stats for a few games. But even that isn't much of a complaint, because they replaced it by extending the Mojo (basically morale) system to multiple games - players doing well will get stat boosts proportional to their performance that last until they have a slump, and the opposite is true for underperforming players. That and the addition of fitness levels encourage you to make use of your reserve players, which is a very welcome change from before. So it's a very easy recommendation if you're into baseball games. Especially since there's no meaningful competition on anything except PS4. This was one of the first games I ever owned. I got it sometime between age 4 and 6 and, despite many attempts between then and trading my GBA for a DS 6-8 years later, never finished it. Today I needed something to do while waiting for my laundry and had the bright idea to finally change that. My first try, on an actual GBA, ended after about 5 minutes with a new appreciation for how far handhelds have come in the last 17 years. So then I moved to an actual-er GBA which conveniently runs on a monitor and has save states. And I knew this game wouldn't be good. It's a licensed 90's platformer - of course it isn't good. But I really wasn't prepared for how actively malicious it'd become after the 3 1/2 world point that was previously my high water mark. There's a lot of garbage before that, including a boss that's invisible and invulnerable for all but a few frames and another for which there's no strategy but standing right next to him and hoping you deal damage faster, but it's all at a level where you could conceivably beat it without cheating or painstakingly memorizing everything. The levels after that are nothing of the sort. They completely give up on providing any legitimate challenge and instead come at you with blind jumps, off-screen attacks, and enemies placed so that it's practically impossible to avoid damage unless you already knew they were there. There's even a water level, which is somehow even worse than you'd expect because (a) what the **** is a water level doing in a Speedy Gonzalez game, and (b) there's a submarine that makes it actually playable, but the game only gives it you for 20-30 seconds before Speedy inexplicably abandons it when changing screens. None of it is fun, and I don't believe anyone ever thought it would be. Like many of these games, it's a transparent attempt to lengthen a kids game because they don't know to expect any better. And all of it is set to a soundtrack that might've originally been a torture device. Every world has exactly one track despite taking 15-20 minutes to finish, and every one of those tracks consists almost entirely of the same 5-10 second section looping over and over again. This would be the worst game I've ever finished if not for the fact that I beat Hydrophobia for some godforsaken reason. Still, as broken and poorly designed as that game was, it at least occasionally provided laughs. This is just cynical trash for its entire runtime. It's way better than I gave it credit for and definitely blows Speedy Gonzalez: Aztec Adventure out of the water. If, like me, you never finished the original, it's very much worth playing. Spoilers because it's really long and mostly a rant about how the biology and economics of this world are raving nonsense even compared to your average zombie story. No actual spoilers of any kind. So after what was probably the second biggest game of 2013 in Bioshock Infinite and almost doing a 180 on it, I figured I'd play the biggest one and see if the same thing happened. And I use "play" here because I never actually finished TLoU the first time around. Having finally rectified that, I can confidently say that I got this game almost as wrong as Infinite. Part of that is down to circumstances. I said I quit before because I found Joel insufferable, but I also had to take a two week break from the game then because of travel, and did so immediately (as in under a minute) after what is easily his worst moment in the game. He's definitely a flawed character that you're not always intended to like, but he's nowhere near as unlikable as I made him out to be. And besides, those flaws are almost certainly necessary for the moment-to-moment plot, which is undoubtedly the game's greatest strength. It hits pretty much all of the emotions it aims for and is phenomenally acted. But everyone already knew that, so I'm not going to dwell on it. If the rest of the game were at that level, it'd easily be in top 5 contention. Unfortunately, the rest of it is basically just gritty Uncharted, which is fine - those games are great - but it's not much more than fine. They tried to do a combination of the third person shooter they normally make and survival horror and committed to both just enough to dilute both experiences. The shooting can't be difficult because your ammo capacity is so low, stealth can't be much more than a way to pick off a few edge enemies or you'd never shoot anyone, and crafting resources can't be scarce or you wouldn't be able to recover items for combat. I think it wanted to be something like Metro, which does a similar mix brilliantly in first person, but didn't want to fully commit to something that potentially niche. Except that they kind of did for about an hour - there's a point when you're forced to dramatically change your playstyle for a bit because plot reasons and it's hands-down the best part of the game. Also, there are a lot of points where it just gives up any pretense of gameplay choice and more or less enforces one approach. The standout for me was a moment about halfway through when you're approaching a sniper taking potshots at you. I quit reasonably figured I'd just outsnipe him while he was reloading only to discover that it was actually just a floating gun with no one behind it to shoot, and that said gun doesn't even rotate to face you when it shoots - bullets just come out at a 90 degree angle if they need to. Worse, he'll spot you no matter what and spawn-in a swarm of enemies at two points during the approach, so there's no reason to do anything but run and gun for the door. It's not a huge deal, but it's definitely points off immersion when you're fighting the invisible man with his magic bullets and army of mole men. The other big thing holding it back for me hasn't changed since 2013: this world makes no sense. For starters, the infection is only viable as an apocalypse if thousands of people turn at almost exactly the same time all over the world, and the game goes out of its way to show that turn time varies from person to person and only happens from either bites or exceptionally rare spore clouds. And it makes even less sense once someone turns - they attack and kill people because zombies, but it's pretty clear that infected don't need to eat, and dead people definitely can't turn, so I have no idea what the purpose of this behavior is. Infected eventually turn into clickers, which server primarily to indicate that Naughty Dog doesn't understand echolocation, as their ability to see you would have nothing to do with whether or not *you* make sound. They also kill you even more definitively than the base infected. After that, they supposedly becomes stalkers, which never appear in the game, and finally bloaters. Those, like the real fungus the infection is based on, spray spore clouds. But for truly inexplicable reasons, these spores are apparently not infectious and are only intended to help them explode your head and ensure you don't become infected. How did a species so determined not to spread infect the entire world? The world itself doesn't make much more sense. For one, they have a much bigger problem than the disease: After leaving Boston, you see a grand total of four women, one of whom is an unnamed NPC that immediately dies, and another of whom is Ellie. It's implied that all the women and children are offscreen, but since you never see anyone attempting to farm or gather, and only see hunting when the plot briefly needs it, it's not clear what they're all doing. The only means of food production you see with any consistency are the army magic-ing up food and car batteries from facilities that are never shown and highway banditry of all the caravans that are apparently going across the country for some reason. You encounter literally one group that's making a serious attempt at building a society in the entire game, and this is after twenty years. How did humans ever make it past being cavemen if they're this bad at coming together? Also, no reason is ever given for why the all-important facility needed to be in the middle of nowhere on the opposite side of the extraordinarily dangerous country instead of in any of the closer, better hospitals, nor an explanation given as to how the army or Fireflies are communicating between cities when the roads are apparently shortcuts to death. It's still a very good game that I don't have any trouble recommending, but I think it could've been much better with gameplay that better fit its tone and someone having thought about the world for more than 10 minutes. I get it - zombie games are lazy and they wanted to do something different, but it's not any better if you just replace the zombies with something completely identical save for make even less sense. Another one I've had for pretty much as long as I can remember. Apparently you could get away with making a game very obviously about that year's Olympics as long as you never made any direct references to setting or Olympic words back then. Anyway, it's a decathlon of minigames not necessarily having anything to do with track and field. All of them except swimming, which is basically a really simple rhythm game, and trap shooting, which is works as you'd expect, have some kind of button mashing component. And they want you to button mash hard - I could never do better than next-to-last in anything except the aforementioned events as a kid, and even now I can't reach max speed in most events, even with the benefit of a keyboard and save states. Thankfully, it's really only 100m dash and weight lifting that are pure button mashing. Pole vault, long jump, 110m hurdles, vault, javelin throw, and high jump all have timing components that are arguably more important. There's also a fencing mode I remember being really fun, but which isn't available in my new version for some reason, and a table tennis mode I never unlocked. Admittedly, there's nothing here that couldn't be a flash game today, but it's still pretty fun. It looks and sounds great for a GBC game, too. Worth playing if you've got it at hand. Actual spoilers this time. It's impossible for me to explain the trainwreck in slow motion that is the game's narrative without them. Sometimes you can just look at a game and tell it'll be good. Forgotton Anne makes a better pass at being a Ghibli game than the actual Ghibli game, and the story pitch - forgotten items get sucked into another world and become sentient - seems whimsical enough to pull it off narratively. They wisely opted to focus on said narrative and puzzles instead of shoehorning in a crappy combat system, and it all seems like it'll work out for the first few hours. But then it gets lost in itself and absolutely goes to ****. The troubles begin when the titular Anne is put on trial by revolutionaries for being dangerous or somesuch. In a better game, this would be where your decisions to kill or spare rebels earlier in the game would come into play, but beyond being acknowledged in the dialogue, none of them matter in the slightest. I was convicted despite not hurting a hair on anyone's head, and Anne then inexplicably puts up with having her magic glove removed despite it having the power to literally rip the soul from the body of any of her enemies and the trial having established that she'll die without it. You then suffer the obligatory injured slow walk sequence before teaming up with a revolutionary mannequin that's supposed to come off as a charming rogue, but who slurs his English accent and ends up sending mildly rapey vibes. Anyway, he shows you the most predictable plot twist in the world, which causes a bunch of abrupt and nonsensical character shifts leading to Anne falling down a hole and meeting basically God, who reveals that Anne is here because her mother somehow thought the best way to deal with a baby she couldn't support was floating it down a river into a sewer and then apparently forgot about her. A bunch more uninteresting stuff and choices that won't matter happen. Then you reach the near top of the tower for the big finale and are stopped by a clock in a big robot suit. The ensuing debate peaks with Anne trying to argue that the world isn't black and white in a game in which you are only ever given binary choices. Then the clock shows you some choices you made, ignores them, and forces you to kill it. Your final choice is between going home and killing this world or saving this world and dooming yourself in the process. Fittingly, it's a false choice, because picking the former just loops the game. This would all be excusable if the game was trying to tell a nihilistic "nothing you do matters, everything is predetermined" story, but nothing about it gave me that impression. I'm pretty confident it's just terribly written. Nothing else about it can make up for the narrative fart, either. The puzzles all amount to interacting with the one thing you can interact with, and one puzzle is even repeated three times after the game itself questions why anyone would bother creating something so pointlessly straightfoward. The moment-to-moment gameplay can be enjoyable, but it has a weird obsession with reducing your powers as you go along, so most of the best parts come before the story goes to crap, anyway. - Over half the campaign maps force or encourage you to play as Link. I have nothing against Link, but who on earth wanted to play as him in a mashup game like this? You barely get a chance to use a decent fraction of the cast because of this obsession. - Characters are all unique this time, but you get way fewer options. Most maps only allow one or two heroes even in the adventure mode, which is just inherently less interesting than the 4-6 FE usually gave you. - The story isn't as technically disastrous as FE. But that's actually a bad thing, because FE crossed over into being funny again, whereas this is just dumb. It also makes the utterly baffling decision to create some lame (not particularly) original villains that no one asked for instead of using Vaati or Aganhim in any capacity, as well as leaving Skull Kid as an almost unused unlockable. - It sometimes feels like a different kind of love letter to the franchise. The main villains is basically naked and her intro cutscene is very careful to pan all over her body, which is to say nothing of the fact that her motive is basically that she's in love with Link. Given this, it's hard not to notice that every allied character in the campaign is female except for Darunia, and that they imply most of them are in some way also in love with Link. - The Wind Waker maps feel pretty lazy and often don't particularly resemble their source material, which is at least in part down to not bothering to even attempt to cel-shade anything. The Wind Waker music is fantastic, though. - The AI is completely useless and will basically never take keeps or kill enemies even when specifically directed to do so. - It has a handful of different boss battles that are all fun the first time and that it sometimes manages to keep interesting when repeated. - Characters feel more complex and enjoyable than in FE, although a few (*cough*Fi*cough*) are total duds. I'd say it's a bit better than FE despite the missteps, which means its also a decent time waster that isn't particularly essential to anyone. Although, as a series fan, it's hard not to look at the complete omission of games like aLttP, MC, or the FS series and the consignment of MM, WW, LA, and PH/ST to bonus content in a 3DS re-release and wonder if some director's fetish isn't to blame for it not really being a celebration of the franchise. Still the best game ever. That Well you use to upgrade Bombs and Arrows capacity is pretty annoying though. I'm so used to Randomizer that I struggled against Armos Knights and Lanmola, lol. Somewhat harder than I remembered. Despite the game's short length, I feel like it kind of loses steam during Great Cave Offensive. Doesn't help that Milky Way Wishes has like 2 new bosses. Not much to say here. It's a good game that I can actually beat in a sitting. I'm terrible at Hadoukens though. It was pretty fun but it felt like proof-of-concept compared to 64. Everyone seems to love this game but I'm pretty down on it. I don't like NES Castlevania and that bled into this game. You (eventually) have four characters to switch between and none of them are particularly fun or good to play as. Solo Zangetsu is at least kind of fun though because it cuts down on the NES Castlevania jank, makes one character actually interesting to use and makes the game a bit harder. There's at least four different ways to play through the game (with multiple corresponding endings) which adds to a fair amount of replay value. If you like NES Castlevania you'll definitely like this game. edit: okay, after playing it through, uh, 2 more times I'm liking it a lot more. TRSC is hard to describe, and that's mostly down to it having three completely distinct gameplay systems over the course of barely 150 minutes. The one you spend the longest on could be called a cyberpunk bartending simulator, but unlike VA-11 HALL-A, the bartending minigame itself is pretty rudimentary and the focus is on the conversations that happen after serving drinks. Your choice of beverage will change the mood of your customer, which in turns changes their responses to your questions. The NPC interrogation that follows isn't anything new, but it's done well, and the addition of emotional manipulation is compelling. Unlike VA-11 HALL-A, Red Strings plays the cyberpunk theme pretty straight. The aforementioned interrogations are, obviously, to do with an evil corporation and their AI, and this equally obviously leads to questions of ethics and what it means to be human. Unfortunately, while you're given a remarkable number of impactful choices for such a short game, some a lot of the weight of its ethical argument is lost because of the choices it doesn't give you. It rightly points out that the main character is hypocritical at several points, but all of them feel unfair since the hypocrisy, at least in my case, was always between stances I took and stances the writers made my character take. The end result is a message that is both undeniably interesting and extremely confused. The game raised many points that potentially could've been the foundation of a very interesting story, but I came away unsure what it was trying to say about almost all of them. Similarly, although the gameplay had the potential to show all sorts of conflicts between our philosophical stances and actions, it wastes all of that potential by forcing your most controversial actions. It's a good game that might've been a game of the year contender if it had chosen a level of interactivity and stuck with it. Last year's Subsurface Circular was a really interesting game about a robot detective interviewing other robots in a subway car to stop some kind of threat. Quarantine Circular takes the gameplay of SC and puts it on a boat. With an alien. Like SC, gameplay consists entirely of navigating dialogue trees to get information or promises out of NPCs. Unlike SC, you play a different character with different objectives in every chapter of the game, and your choices have much more immediate and visible consequences. I can't say much more since it's only 90 minutes long and is one of those games where pretty much everything is a spoiler. It's a really good way to spend 90 minutes, and I can't imagine not liking QC if you liked SC. If you haven't played SC, you should. It isn't long enough for me to get invested enough to call it more than "pretty good", but I could see people who are more appreciative of short-form entertainment really getting into it. Recettear was a really cool game about being an RPG shopkeeper that, on replaying earlier in this thread, I realized was let down by the decision to substitute an extremely forgiving RNG for anything resembling an economy. You could play the entire game buying and reselling items in town, but it also had a surprisingly fun dungeon crawling minigame. So Moonlighter comes along and basically asks "what if Recettear but you only get items from dungeons?" and goes on to combine shop management with something vaguely resembling Zelda meets The Binding of Isaac. There are four dungeons of three floors each to clear, each of which is randomly generated and has its own set of item drops and enemies. Dying resets your current run and makes you drop all the items in your bag (but not the top row), but otherwise has no consequences. Combat is basically straight 2D Zelda except that you can (but shouldn't) equip weapons other than the sword/shield and bow. That said, there's nothing remotely resembling a puzzle at any point. You whack stuff and avoid attacks, and that's it. Boss fights reminded me of Enter the Gungeon a bit, and everything looks a bit like Minish Cap. So far so good, but then you have to sell all the crap you've found, and the shopkeeping is completely mindless. You have to guess the prices of each item from points you know on a sorted list the first time you sell it, but after you find the sweet spot you can just leave it there for the entire game. You don't have to adjust prices for specific types of customers, and there are so many customers that you can almost always clear your inventory every day. There's supposedly a supply and demand system, but I never had to think about it, and since you get all your crap for free and they dropped Recettear's loan sharks, there's no pressure whatsoever to optimize your prices. I think they realized how pointless this all was and added thieves to try to keep you busy, but they announce they're thieves with a giant bubble as soon as they come in, always use the same sprite, and there's nothing you can do until they actually take something, so in practice they just force you to follow them around the store and restock the item after you punch them. That just leaves town management and store upgrades. The former basically just means you have to pay a fine to open the other stores, all of which are almost completely useless except the first two. Those are where you buy potions and craft item upgrades with the crap you find. That could've been interesting, but in practice it's just something to spend money on and a reason not to sell some items. Store upgrades are just straight statistical upgrades of various parts of your store and, unlike Recettear, you can't customize the store except for placing some single-tile decorations in pre-determined spots. And even that isn't really customization since the ones that give you more money are obviously the best and there's no reason to get any other. All of which sounds really negative, but it's mostly just frustration with the fact this game could've been so much better if it had focused on a few ideas instead of making a dozen shallow systems. As it stands, it's an alright game that I'm reviewing four days after the fact because I forgot about it almost immediately after finishing. They're probably not going to put that quote on the store page. If you don’t know anything about YIE, I’ll just say two words to hook you in: Pinball Metroidvania. I don’t know the last time I played a pure genre-mashup this good. You play as a dung beetle who rolls a ball around the island, serving as its Postmaster and eventual savior. The game functions very much like your typical pathfinder platformer. It has inventory upgrades, mechanics introduced throughout, and a large, contiguous map to traverse and find secrets. The only difference is that there is no jump. Instead, the entire world is peppered with blue and orange pinball flippers. Traversing the world is its own little puzzle each time. Getting from point A to point B is never as easy as it seems. Most of the time, this is a good thing. Sometimes, especially in end-game clean-up, this can get to be somewhat laborious. Thankfully the fast travel system is helpful (if a little sparse), and the game does not overstay its welcome one bit. It also doesn’t force you into getting collectibles—the game is just as fun and doable to complete even if you’re not going for 100%. There are some really nice touches and quality-of-life assurances. For instance, the flippers illuminate underneath you as you roll on them, so you have another visual cue to help you line up difficult and precision shots. You also have control over Yoku and the ball whenever you’re on relatively flat/slightly angled ground, and that usually includes flippers. So even if you’re not good at pinball, you can take your time and line everything up as you need. I want to make special mention of the boss battles, because I feel like that's something being overlooked in all other reviews I'm seeing for YIE. They're great! Every boss battle is interesting, and each one drives home a classic pinball mechanic in some new and fun way. I almost wish there were more, except I really liked the length and scope of this game as it is. One thing I would have liked would be a movement speed upgrade earlier on in the game. By the time you fulfill all the requirements to up your movement speed, you have basically traversed the entire map anyway. It was useful for endgame clean-up, but it would have been much more welcome like 2 hours earlier. Did I mention that the music and visual style of this game are awesome? No? Well, they are. The overall presentation is just excellent. In the midst of my LttP Randomizer borderline obsession, I decided that I needed more LttP. So I learned how to speedrun LttP No Major Glitches, and had a good time with it. But it wasn't enough. So I bought Blossom Tales. This game is absolutely unapologetic about its influences--right down to the point where you start the game in your house, in your bed in the upper left corner, with three pots to your left and an NPC by a table in the room. But while its influence from LttP is abundantly clear, the game still does a good job of accomplishing exactly what it wants to accomplish: being an action-adventure, LttP-style game. And it's good! The movement and combat in this game actually feels less like A Link to the Past and more like Stardew Valley, oddly enough. I didn't mind how the combat felt, but I will say that most of the time the combat was kind of...uninteresting. Especially once I discovered how to do the Jump Attack, enemies were easily dispatched and never posed much of a threat. The only real way for an enemy to pose danger to you would be if there were, like, ten of them on the screen at one time...but by that point, they just became more annoying than challenging. And as I mentioned before, the Jump Attack is just flat-out overpowered, giving you invincibility during the jump and killing even the strongest normal enemy in one hit.The combat was also a little imprecise on boss battles. They didn't give the clearest feedback on when you were dealing damage to bosses. The screen would flash green, then yellow, then red, depending on the boss's health, but was I hitting them twice? Three times? Was I hitting a weak spot? It was all a little hard to tell. The puzzles in this game were actually its strongest point. Block puzzles like the one below were very well-crafted and took effort to solve. There were some electric current puzzles in the final dungeon that I also very much appreciated. That said, I had a problem with the dungeon design, in that the dungeons were all very linear. There was no real challenge in figuring out how a dungeon "worked." No dungeon had a particularly interesting "hook." There were never many decisions to be made about what rooms to enter or how to progress. I was willing to forgive that for the most part, though, because the individual rooms and puzzles in the dungeons were fun and interesting in isolation. But in the end, I wish they were more of a cohesive effort. My favorite part of the game is actually the narrator. The story is presented as a grandpa telling the story of Lily to his two grandchildren, and that concept is used very well throughout the game. Narrations like the one above ("Lily loved to enter other people's houses and take things that weren't hers!") poked a little fun at the formula of the game, and provided some good humor. This made the game very joyful to play, especially when the grandson and granddaughter would cheer you on in text bubbles at the top of the screen. It also affected the actual gameplay sometimes--for instance: the kids argued whether Lily should be fighting a pack of Golems or group of Wizards, and you as the Grandpa had to make a decision that changed the next enemy encounter. Little touches like that gave the game a lot of heart and soul that I loved. Had a lot of fun with it, but I do have my complaints. It's not A Link to the Past in terms of quality and execution, but it did fill my craving for LttP-type content, and it's a worthy spiritual successor in the genre. ^I'd love to play that game, but alas, the PC version is borked despite being the original. It crashes on startup for a minority of players and, to my knowledge, they never fixed it. Tempted to buy it on Switch, but can't say that experience gave me a very high opinion of the dev. ...holy **** the grind. You won't notice it for the first few hours, which you'll spend slowly working out the game's deliberately obfuscated mechanics, but there is stunningly little depth once you know what you're doing. All your tasks are covered with admittedly unique and evocative writing, but none of that storytelling actually matters. Every cultist you recruit is identical to any other with the same aspect except for their intro blurb, and even that changes to a template after promoting them. Every location you send expeditions to has unique text, but is ultimately just a case of throwing those identical cultists at identical skill checks. And so on for books, research, patrons, and even antagonists. The writing and mystique were enough to keep it interesting for the first 12 hours, at which point I'd figured enough out to start making real progress. And that's when you realize how obscenely high the requirements for actually beating the game are. There's no real challenge unless the RNG decides to have a bad day at that point, but you're likely not even halfway through the game if you want to beat it legitimately. And everything left would just be doing the same tasks over and over again to slowly work up your lore and resources to meet arbitrary goals. I ended up just cheating in resources to get to the ending, which wasn't even particularly satisfying. Sunless Sea had terrible problems with grind as well, of course, but it at least had characters with real stories and choices with lasting consequences. There was always the promise of getting to see or do something crazy in that game. In Cultist Simulator, you get to play cards on other cards to create interactions that don't always make any sense, lose any excitement once you start to see the numbers, and basically never have lasting consequences. I killed the same Weary Detective three times in my game. It can be a brilliant game for those first dozen hours when everything is a mystery and it seems like it could really deliver on that premise of leading an elder cult. But the illusion of depth ultimately fades, and then you realize tedium is a far greater threat to your sanity than terror. In most ways, it's really obvious this is a 19 year old game. It looks awful, has loads of extremely poorly acted and repetitive voice acting, and well, it's a Phantom Menace game. There's no original music, only a handful of environments to race in, and multiplayer only works over LAN. My experience with it was limited to the long-retired arcade version, and I don't remember that being anything particularly special. And yet, against all odds, it's actually really good. For all its weaknesses elsewhere, the game is spot-on when it comes to sense of speed. The soundwork and track design absolutely sell the feeling of racing a dinky little pod at 800 miles per hour, and that's really all that matters. It's a racing game about going stupidly fast and not dying. You have a ton of different character choices with different stats, but one of them is named Dud Bolt, so it isn't really a choice. It's amazing how much that one thing makes up for everything else being terrible. It'll never happen, but a modern remake of this could be something really special. The Switch version added a rewind button, and I've taken advantage of my new timelord powers to finally finish MM games other than 10. MM feels like it wanted to be an arcade game. There's a score system for no reason, many of the stages are wildly unfair for first time players, and they even put enemies in the checkpoints. It had some nice music (even if Elec Man is obviously just Journey's "Faithfully" sped up), but I don't think the game itself is anything special. MM2 hates the player less and is much better for it. The music is also almost universally fantastic. I can kind of see what people love about this series, but after finishing the first three, (2 and 3 are the good ones, right?) I can't say it ever clicked for me. The gameplay felt like more or less the same thing over and over again, and MM3 really hammered that feeling home by making you fight Doc Man a jillion times in a row at the end. The game felt twice as long as it needed to be as a direct result of those fights. The music is still great, but I think I'll enjoy that on its own in the future. This one is admittedly still in Early Access, but it gave me a credit screen and there's no indication that the win state is going to change, so I'm counting it. Slay the Spire takes the branching path of encounters style of roguelite from FTL and puts it in a deck-building card game. It currently has three characters that all player very differently, and that all have potential builds that themselves play very differently from the others. Add on top of that the passive relics (but almost always very interesting) you can collect throughout a run and you end up with a really stunning amount of variety. You'll set out with specific strategies in mind, but your success really comes down to how well you can adapt those plans to the cards, items, and encounters you actually get. All of which sounds rather similar to last year's Monster Slayers. But where that game gave the monsters their own unpredictable deck of cards that were shown so briefly as to make it very difficult to know what was responsible for all the numbers and effects that hit you on any turn, StS abstracts all that away. Instead of decks of cards, enemies get little symbols above their heads that tell you exactly how much damage the enemy plans to do as well as whether they're going to block, apply a buff/debuff, or use a special action. It isn't quite perfect information - you're never given any specifics beyond total damage, and even that might change from status effects - but it's enough to transform Monster Slayers card spam into a real puzzle. You've got to figure out how to balance blocking, attack, and managing status effects on every turn on a very limited number of action points while also managing your long-term passive bonuses to set up big offensive turns down the line. Even against the weakest mob, there's never a dull turn, and the big fights are the stuff most games can only dream of. Like Celeste, this is a game that absolutely has the quality to be a serious game of the year contender. Unfortunately, as much as I love a good roguelite, it's also like Celeste in that I just can't see myself ever personally picking this kind of game. I bought this back when it was still Next Car Game and no one had any idea what Early Access was. Four years and some ridiculously long stretches of dev silence later, it's out. It's a racing game that tries to accurately model crash damage. It can be really impressive as long as you don't take it too far - I once saw a car that had been completely flattened but was somehow still running - but it's also the game's only idea. It sort of coasts by on that for the first 50% of the career, with the track variety and crashes being just enough to keep the game interesting. The two exceptions to that rule are a race that puts you in a dinky three-wheeler against 23 school buses and a later race that does exactly the opposite of that. The first feels like being an ant on a battlefield as you're desperately trying to avoid massive crashes that'd wreck you instantly, and the second is a comically easy romp in which you can total any of the other cars pretty much at will. But it's not long after that that they run completely out of ideas, and they're really bad at hiding it. First you start getting events that rely heavily on figure-8 tracks, which are just crapshoots completely devoid of skill since there's no way to see what's coming at the intersection. Then they just start increasing the lap counts to stupid levels so that every race takes forever. Then they combine stupidly long races with figure 8s so that all the dumb AI racers die and you're left racing yourself for a few minutes. In one of the last events, they do the same figure 8 for 12 laps twice in an 8 race event. I assume they were paying so little attention that they just forgot they'd already done that one. It could've been a great game, but it isn't. There's probably a short afternoon or two of fun here if you can get it discounted enough. This game is a lot of fun, and I feel like it's the only Mario RPG that managed to really carry over the speed of Mario's platforming. That said, I don't think the isometric angle is good for more accurate jumps like the type seen in Bowser's Castle. While the turn-based gameplay manages to remain somewhat satisfying until the end, your team-building options are extremely limited due to uneven balance and limited party slots. s'alright. I don't really get the point of having whip power-ups if they're going to be so easily accessible. Platforming is also pretty mediocre. I had fun though. I have to say that I like the world design here a lot better than Samus Returns, though it is still constrained by the linear nature of the original game. Alpha Metroids are still really annoying. EDIT: Also, to be quite honest I prefer the way Samus runs in Super Metroid. Without a run button she's just too slow unless the Speed Booster kicks in.